In a world of uncertainty we secure ourselves and our loved ones by taking life and health insurance. But do we really understand what we are securing them with? Most insurance is taken without planning and proper understanding of Cover Pricing and Returns. 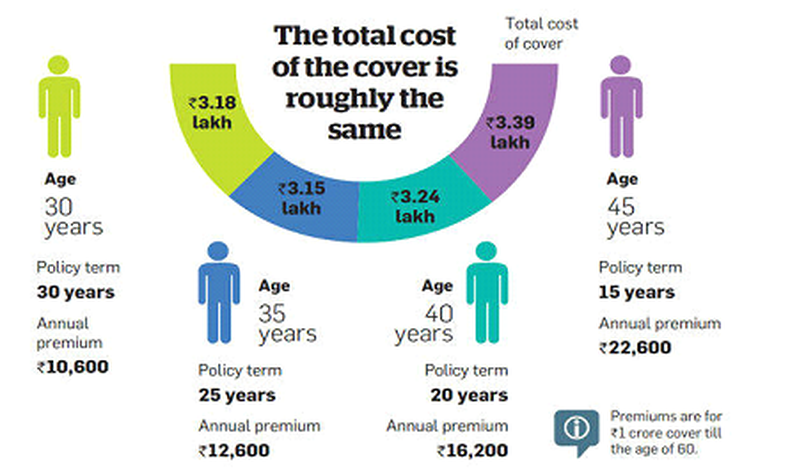 Some points to ponder with- Do you know how much of insurance you have? Does the nominee in your policy know how much insurance you have? Will the cover be enough for your family? How does the nominee claim proceeds? Womatra gives a helping hand in understanding how Insurance should work for. Most often taking insurance is not a thought out process. It is used as an option where if you don’t know where to invest we simply take insurance. For some reason it is largely believed that insurance is an excellent product and this is the best investment if you are not familiar with the financial world. CAUTION -The aim of Insurance is to cover RISK and not generate returns as an investment. One must carefully plan how much of Life Cover they are taking to secure the future of the family in case of an eventuality. It is important to take insurance for the purpose it serves. Method 2- How do you determine you’re Cover Amount through Human Life Value? Womantra Helping Hand 2 – When is the right time to take a cover. The sooner the better cause as we grow older insurance gets more expensive. Above illustration is a simple example of age plays a factor in cost of buying Insurance. Womantra Helping Hand 3 – Which is the best plan today know your cost v/s benefits. Term insurance plans, which are arguably the best form of insurance, are always dismissed by agents as a "waste of money". The agents point out that if the person survives the term, he doesn't get anything because the entire premium goes into buying the risk against death. Its is rarely revealed that at this mortality charge is payable on all insurance policies, including traditional policies and Ulips. Since the break-up of the charges is not declared, buyers believe they are getting the cover for free and that their premium is being invested in the market and will earn a higher return. We believe that Insurance should serve its purpose of RISK COVER ALONE. Not always but sometimes commissions drive what you are sold. Below WE BELIEVE THE ONLY INSURANCE YOU SHOULD TAKE IS A PURE TERM PLAN. For investments and growth there are options like PPF , Mutual Funds, Stocks etc. As mentioned previously it is important to communicate to the nominee on the claim process. Brief them on the below mentioned points so that they can claim the money with ease. 1) Which company policy have you taken? At the time of claiming the policy the following documents will need to be submitted in writing with a claim form. For ones portfolio to be hygienic and complete they are mandatory. Consider insurance from a risk cover perspective and not from tax saving - Follow the above Womantra guidelines, you will take a big step forward to secure your family and their future. And REMEMBER Term insurance is the purest form of life insurance. It is widely recommended that a term insurance policy should be an insurance buyer’s first insurance policy. Womantra is an educative session aimed at empowering women in matters of finance. The workshop will inspire women, professional or otherwise, to have greater self-confidence in handling their own finances and in doing so, taking charge of their destiny. The initiative is run by Mrin Agarwal & Rima Hinduja, who between them have over 30 years of work experience in investment advisory space and have worked for various banks- Citibank, Deutsche Bank, Standard Chartered Bank etc. Mrin & Rima have extensive and multi -faceted experience in investment advisory and banking and have experienced various phases in debt and stock markets. They have appeared on CNBC and have contributed to various articles in print media.